Touch Taiwan -Display International, jointly organized by Taiwan Display Union Association (TDUA) and Chan Chao International Co., Ltd., will enter its 7th edition as Taiwan’s smart display fair in 2018. This year, Touch Taiwan and OPTO Taiwan will run in tandem August 29-31 on the fourth floor of Taipei Nangang Exhibition Center, and the Smart Manufacturing & Monitech Taiwan will also be held simultaneously, gathering common forces of Taiwan businesses to make the robust technological prowess and supply chain capabilities of the country’s display, optoelectronics, semiconductor and smart manufacturing sectors more visible to the world and create the most influential, grandest international display industry event. 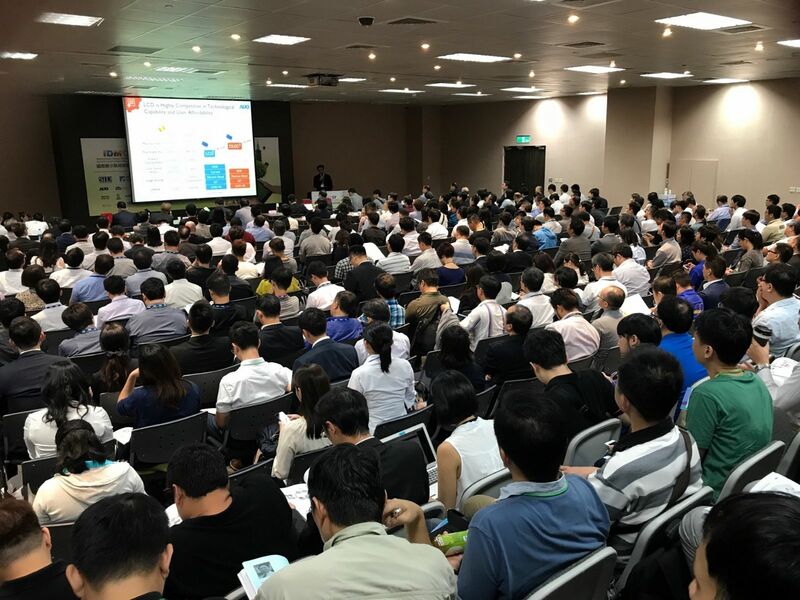 In addition to regular exhibits including displays and touch control solutions; flexible and printed electronics products and technologies; commercial displays and digital signage applications; OLED applications, materials, and equipment; LCD panel and touch control manufacturing equipment, materials, parts and components, smart vision and AOI, Touch Taiwan 2018 will see the inauguration of a new thematic exhibit area for “Micro LED/Mini LED Products and Solutions,” which is expected to become a major highlight of the show, making diverse innovative display applications translate into new business opportunities for the display industry. Thematic exhibits will cover all relevant products, solutions, key parts and components, process materials, production equipment (particularly mass transfer equipment), automated optical inspection (AOI) equipment, and driver ICs, thus providing one-stop shopping services for those companies interested in adopting Micro LED/Mini LED displays. This year, leading panel makers such as AU Optronics Corp. (AUO), Innolux Corp. and Chunghwa Picture Tubes, Ltd.(CPT) will again shine brilliantly at Touch Taiwan with their latest product and technology offerings, and many other industry players including Epistar Corp., Lextar Electronics Corp., Macroblock, Inc., Topco Scientific, and NationStar Optoelectronics will attend the show as first-timers to showcase their multiple products and solutions associated with Micro LED/Mini LED, seeking to build connections with global display industry chains and demonstrate the latest technologies and applications. Touch Taiwan is the world’s largest exhibition of display solutions and grandest gathering of industry professionals, with leading display players and insiders coming from the world. During the exhibition period, two major forums will be held, namely Display Innovation Taiwan Conference 2018 and Micro LED Display Conference 2018. This year, TUDA will, for the first time, collaborate with 3D IDA (3D Interaction & Display Alliance, to host the Keynote 1 at the Display Innovation Taiwan Conference, inviting domestic and overseas heavyweight industry and academic elites and leaders, such as those from AUO, E Ink, University of Cambridge, JOLED, Corning, JDI and AKT, to shed lights on the latest industry and market trends. 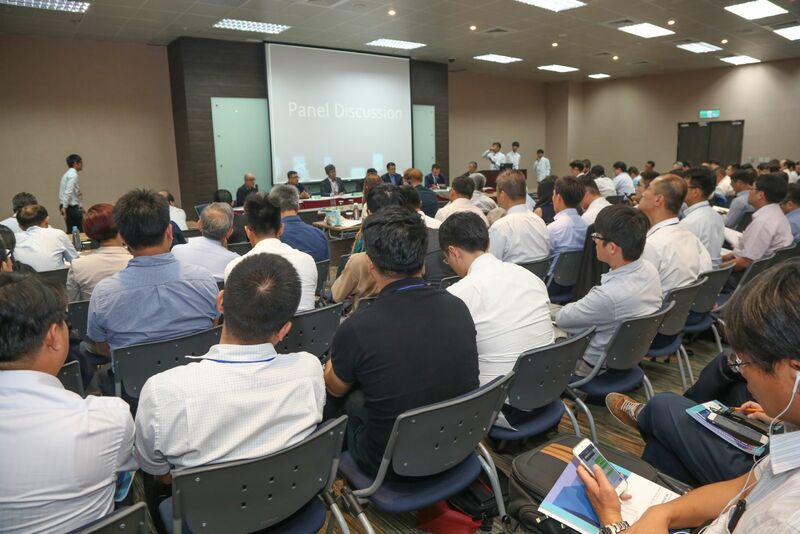 As an extension of last year’s theme “Changing the World with Display Innovations,” the conference will bear the theme of “Smart Display and AI” this year, and it’s expected that through the keynote speeches and discussions on main subjects, the speakers can jointly explore future technological development directions and create new opportunities and advantages for the development of the touch-screen panel industry. As the year’s hottest topic, Micro LED will be the focus of discussions at the Micro LED Display Conference 2018. The conference will comprise morning and afternoon sessions, and numerous major domestic and overseas Micro LED technology development teams, including those from AUO, eLux, NationStar Optoelectronics, Lextar Electronics Corp., X-Celeprint, Veeco, Lumiode, San’an Optoelectronics, TOPCON, and Beijing-based Chipone Technology and PlayNitride have been invited to provide the latest market analyses and share advanced technologies, so as to let the audience better understand future industry and market development trends, as well as various advanced technologies. This year, the show will see two new thematic exhibit areas, one for Artificial Intelligence (AI) and the other for AR/VR Smart Manufacturing, aiming to integrate AI, AR/VR technologies, industrial IoT (Internet of Things), big data analysis and expert system to allow equipment suppliers to know equipment problems in advance, so that they can take the initiative to contact customers for predictive maintenance. In addition, through the assistance of AR/VR technologies, equipment diagnosis and maintenance can be provided while simulation of usage process and operation demonstration can also be conducted to achieve the goals of reducing operating costs and boosting efficiency and innovation. Exhibitors will jointly demonstrate applications of AI and AR/VR technologies to smart manufacturing equipment, thereby further driving industrial upgrades, transformation, innovations and applications. In addition, the show organizers have also arranged a united procurement meeting and guided tour of the show for foreign buyers, seeking to help buyers build a complete procurement information system and allow exhibitors to launch their latest technologies and products. Caption: Heavyweight speakers invited from at home and abroad were seen engaged in panel discussions at the Micro LED Display Conference 2017.